TYNGSBOROUGH, Mass. 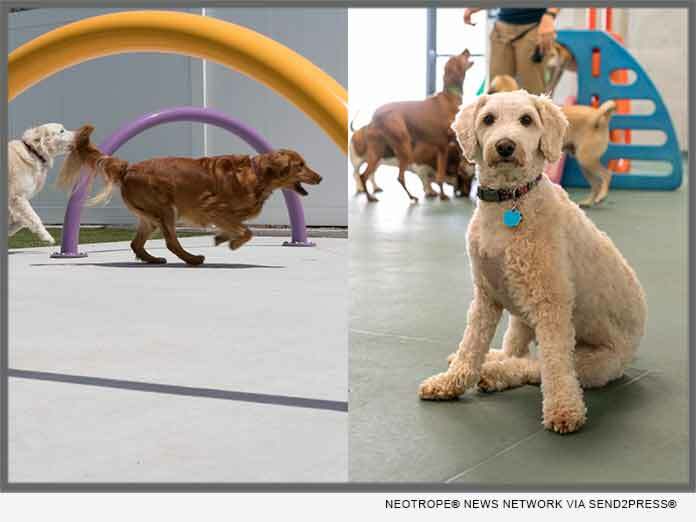 /Massachusetts Newswire/ — Best Friends Pet Hotel is inviting pet-owning families to the new facility’s grand opening celebration on Saturday, April 6, 2019 from 10 a.m. to 4 p.m. The event will offer free pet portraits with digital downloads, treats for pets at the Best Friends Treat Truck, refreshments for all guests, dog demonstrations, and tours of the new facility offering the latest in pet care to pampered dogs and cats – including a look at the splash park area, weather permitting. Not to be outdone by the dogs, cat owners will enjoy boarding in the warm and inviting Kitty City, featuring natural lighting, a giant fish tank, and bird feeder viewing areas to keep cats stimulated and happy. All pets’ special needs are considered, and each guest is monitored closely. All pets are required to provide proof of vaccinations. * Webcams for pet parent viewing and emailed “report cards” and photos home. * State of the art DrainVac cleaning systems – the most advanced biosecurity system available – and used by over 90 percent of veterinary universities, using up to 40 percent less water. Founded in 1995, Best Friends Pet Hotel has enjoyed “leader of the pack” status for nearly 25 years. With 30 locations, including Walt Disney World, we provide customers with the absolute best pet care in a convenient and friendly atmosphere where safety, comfort, and fun are at the core of what we do. We offer boarding, Doggy Day Camp, grooming, and training services.